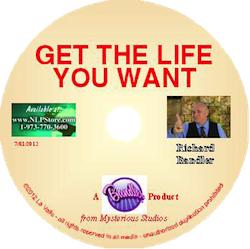 While many people think that Richard does not teach strategies anymore, this 2 CD set will demonstrate otherwise. 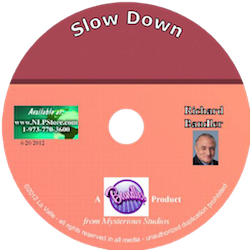 Richard takes a stragety and streamlines it in a much more useful, faster, and elegant way than ever. Some material may be considered controversial but we recognize the vast range of flexibility in language. 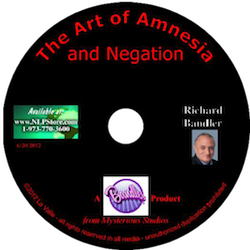 These nlp series will be offered from time to time and for limited times as we produce more of them, replacing some with others. They will all be identified with numbers. This nlp set is a 2 CD set.